← Macdonaldtown Bicycle Club – First annual meeting and opening run. Advertisement appearing in the The Argus (Melbourne) on 20th February 1914. The story of May Allport was repeated around the country for several months from the beginning of 1914, spruiking the transformation of “the little girl with the Rickets.” Advertisements appeared in dozens of publications, including the Sydney Morning Herald and the Adelaide Advertiser, but also in a large number of regional publications including the Barrier Miner (Broken Hill) and The Western Champion and General Advertiser for the Central-Western Districts (Barcaldine, Qld). For more on the history of Dr. Williams’ Pink Pills for Pale People take a look at the ‘Dr. Williams’ Pink Pills for Pale People’ article by Julia Nurse at the Wellcome Library; or the Dr. Williams’ Pink Pills for Pale People blog; both of which contain some great examples of testimonial advertising and images. There is also a Dr. Williams’ Pink Pills for Pale People Wikipedia entry. Curiously the appearance of the Allports in 1914 attesting to the success of Dr Williams’ Pink Pills does not appear to be the family’s first endorsement. In 1905 the story of the remarkable return to health of Agatha May Allport of 4 Baldwin Street Erskineville who was reportedly “until recently a great sufferer from rickets and general wasting.” The advertorials ran for several months in 1905 – again appearing in publications across Australia. Scott’s Emulsion (‘cod liver oil with glycerine and the hypophosphites of lime and soda’) is still commercially produced today, and there’s more background available here. The Allport family were far from being the only families in Erskineville to benefit from ‘advertorials’ spruiking the wonderful regenerative properties of various pills and potions. Rickets, rheumatism, piles, weakness, and wasting, the people of Erskineville were all too ready to provide their endorsements! 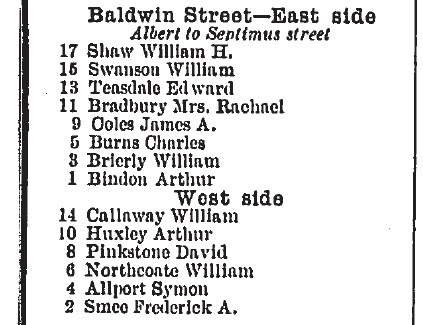 This entry was posted in 1900-1909, 1910-1919, Advertising, Baldwin Street, Charles Street, Good for what ails you and tagged Advertorial, Dr Williams' Pink Pills, Erskineville, Erskineville History, Inner West, remedies, Scott's Emulsion. Bookmark the permalink.